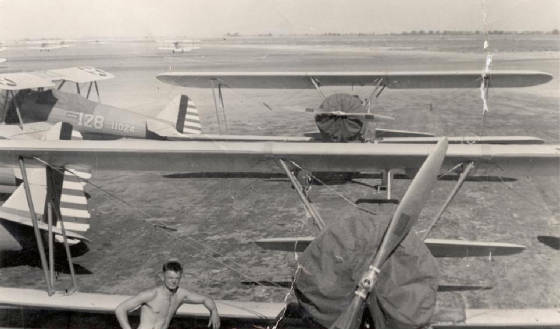 Art completed Primary Flight Training in the Stearman PT-17 during August 1942 at Tulare, California. 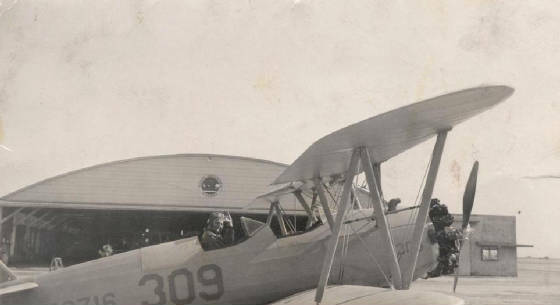 Art is climbing into the cockpit of a Stearman PT-17 trainer. 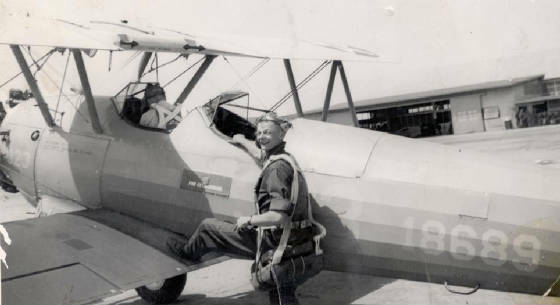 Art standing in front of one of the Stearman PT-17 trainers. Art in the rear cockpit of a Stearman PT-17 trainer. 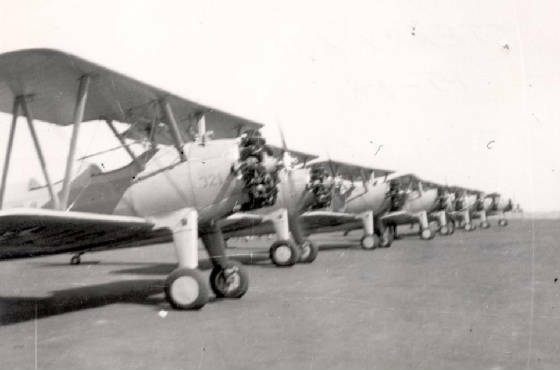 An impressive display of Stearman PT-17 trainers lined up on the runway ready for take-off. All pictures on this page provided by Bettie Sanislo.